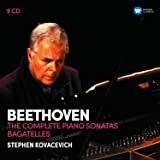 I had heard four of the Beethoven violin sonatas played by Perlman and Ashkenazy, and loved them enough to buy the whole set. I have found this set, on the whole, the most satisfying I have heard, with the Grumiaux/Haskil set running a close second. In fact, in some cases, such as the second sonata, in which the piano decidedly has the upper hand at the beginning, Grumiaux and Haskil achieve the finest balance, perhaps because both were apparently excellent violinists/pianists and exchanged their instruments at rehearsals in order to gain a fuller understanding of each other's parts. 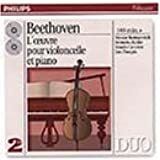 Such an understanding of the Beethoven sonatas in their totality helped Grumiaux and Haskil make what seems to me the most moving account of the slow movement of the "Kreutzer" sonata, one of the finest movements in the whole set. 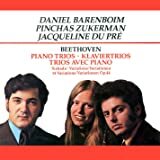 But Perlman and Ashkenazy's overall command is magisterial, and they bring out the angst of the first movement of the Kreutzer with unparalleled intensity. 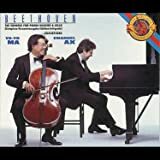 For a totally different sonata like the "Spring," Perlman and Ashkenazy adopt a totally different approach, highlighting that sonata's affinity with the world of Weberian romanticism. In fact, Perlman and Ashkenazy seem to me to be perfectly attuned to the different expressive nuances of each of the sonatas. 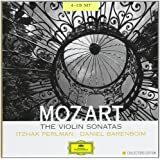 Unlike the Perlman-Barenboim recordings of the Mozart violin sonatas, in which Perlman tended to dominate over the piano, the Perlman-Ashkenazy set of the Beethoven violin sonatas strikes a fine balance between the piano and the violin. Moreover, Perlman and Ashkenazy avoid the tendency to go against the spirit of the music merely in order to be original, a tendency that I occasionally noticed in the otherwise excellent Mutter-Orkis set. In sum, therefore, the Perlman-Ashkenazy set provided the greatest overall satisfaction to me. Excellent performances and sound. This is great music. I like these older performances where beauty and expression were in charge. Great sound, great performance. A balance of grace, subtlety, and passion. 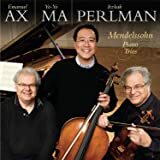 The wonderful Perlman tone shines throughout and the piano, unlike many other recordings, is clear as a bell and fully present. The contemporary Faust version is very fine, but you can't go wrong with this one. It's wonderful to hear this music and listen to two great performers who truly play together, neither one dominating the other. I'm very happy these recordings are available; they should serve as models for future performances.